Sit-n-Stitch is a great way to meet other yarn lovers! 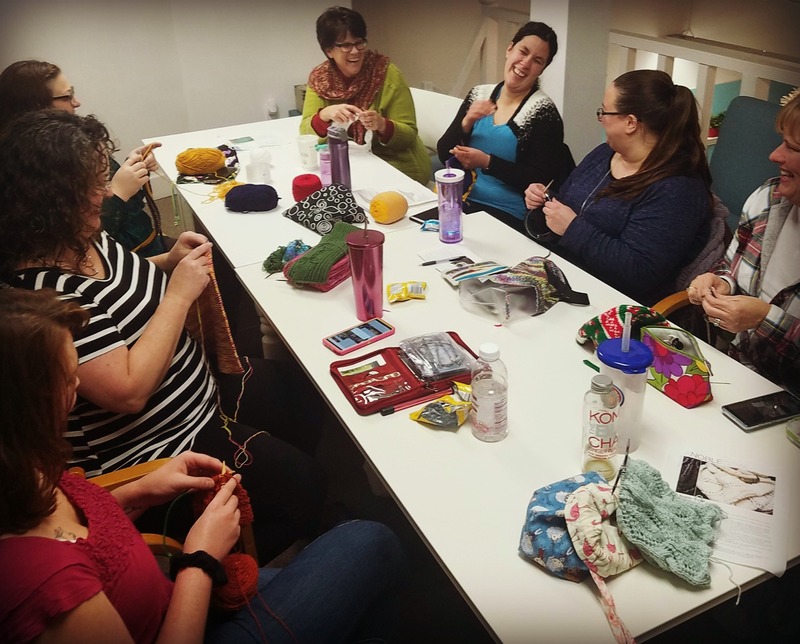 Whether you knit, crochet, embroider, weave, cross-stitch or just love hanging out with yarn, please join us at our next Sit-n-Stitch! **Please Note: Our Sit-n-Stitch is upstairs in the loft and there is not an elevator available in our old building. We can move downstairs to a smaller area, just let us know!! !